BlackBerry Introduces BlackBerry Passport Silver Edition in Vietnam. 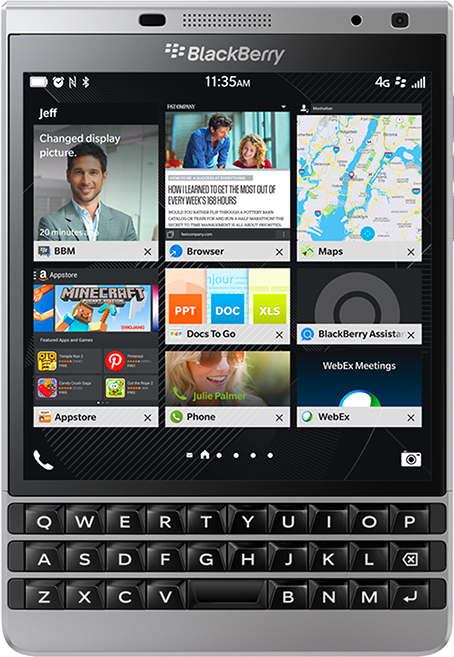 BlackBerry Limited has announced the BlackBerry® Passport Silver Edition in Vietnam. Starting August 24th, customers in Vietnam will be able to purchase the new BlackBerry Passport Silver Edition, a premium device built for business professionals who want a smartphone with the mobile tools they need to get things done – without sacrificing style or portability. The BlackBerry Passport Silver Edition is in a class all its own, featuring a stunning silver finish with refined, curved corners, large square touch screen display and reinforced stainless steel frame for extra strength and durability. An essential business tool, the device delivers the same productivity enjoyed by other BlackBerry Passport products, as well as an updated QWERTY touch-enabled keyboard, battery power that lasts more than a full day of mixed use, and BlackBerry® 10 OS 10.3.2. Large High-Resolution Square Screen –The BlackBerry Passport includes a 4.5” square screen, 1440x1440 pixel (453 dpi) HD display and Corning® Gorilla® Glass 3 for added strength. Innovative BlackBerry® Keyboard – The BlackBerry Passport’s revolutionary keyboard brings innovation to input with a responsive touch surface like a trackpad that lets you perform many touch functions directly on the keyboard. Scroll web pages, flick to type or slide along the keys to move the cursor, leaving the full screen space for viewing. 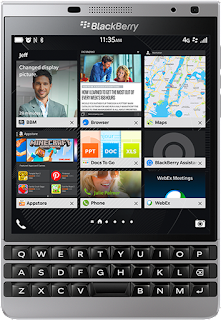 BlackBerry® 10 OS 10.3.2 – The BlackBerry Passport comes preloaded with the new BlackBerry 10.3.2 operating system, including features such as BlackBerry Assistant and Amazon Appstore. Best-in-Class Battery Life – The 3450 mAh battery is the largest among the top selling smartphones and phablets and, when tested against a very active user, provides up to 30 hours of mixed use – BlackBerry’s best battery power to date. o BlackBerry World – BlackBerry World offers essential business and productivity apps for professionals looking to drive efficient communications and collaboration including Box, Evernote, Cisco WebEx Meetings and Documents to Go. o Amazon Appstore – Discover and download popular Android apps and games through the Amazon Appstore including Candy Crush Saga, Pinterest, SoundCloud, Kindle and Amazon Shopping. BlackBerry Assistant – The BlackBerry Assistant is BlackBerry’s first digital assistant and can be used with voice and text commands to help users manage work and personal email, contacts, calendar and other native BlackBerry 10 applications. BlackBerry Assistant intelligently determines how to respond based on how the user interacts with it – if you type, it responds silently, if you speak, it speaks back and if you activate over Bluetooth, it speaks back with additional context because it assumes you might not have access to the screen. Premium Components – The device is built for the most demanding user with durable materials mixed with top-of-the-line technology, including a Quad Core 2.2 GHZ Processor, 3 GB RAM, 13 MP OIS rear camera and 32 GB memory expandable with a Micro SD card up to 128 GB. BlackBerry® Natural Sound – BlackBerry Passport comes with powerful speakers and a quad microphone system that delivers a high-quality listening experience. BlackBerry Natural Sound Technology is built in to adapt Wi-Fi and cellular call sound depending upon phone position and background noise, automatically adjusting volume so you don’t have to. The BlackBerry Passport Silver Edition will be available starting August 24th through key retailers across Vietnam, at a recommended retail price of VND 13.500.000. 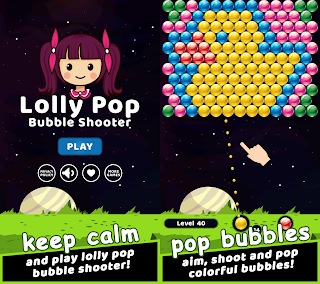 0 comments on "BlackBerry Passport Silver Edition smartphone"
Lolly Pop Bubble Shooter version 2.0 with more than 795+ new unique levels on Android! Pinkie Pom Huge Update comes with 12+ Mini Games! The Blackjack 21, best classic Blackjack Android casino game! Super 2048 Plus, the most complete 2048 Android puzzle game! Color Queen! Flood Puzzle, the most colourful Android puzzle game! 1001+ Emoji Puzzles, an extremely addictive quiz Android game! 144 Blocks Puzzle, an extremely addictive Android game! Flower 2048, a unique Android game! ZEL 2.0 classic board game with smarter AI on Android!